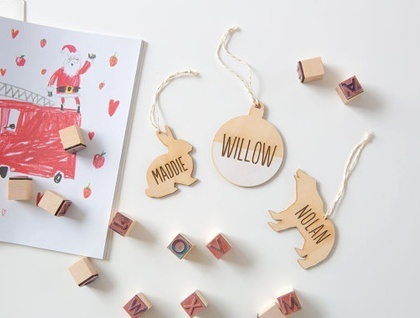 These ornaments are customisable with your choice of text making them a great gift idea; weather adding a personal touch to your Christmas tree at home or posting to loved ones overseas. 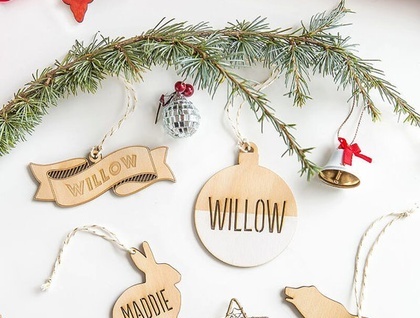 There are four design options available (See our other listings), all crafted from beautiful sustainable pine. 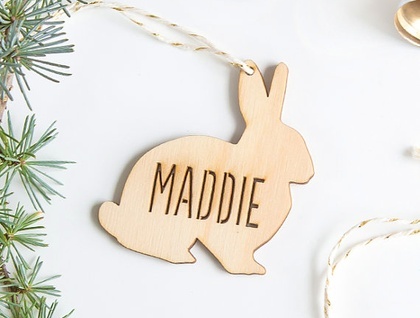 For all customised ornaments please enter the personalised information (one word per ornament) required into the message box at checkout.